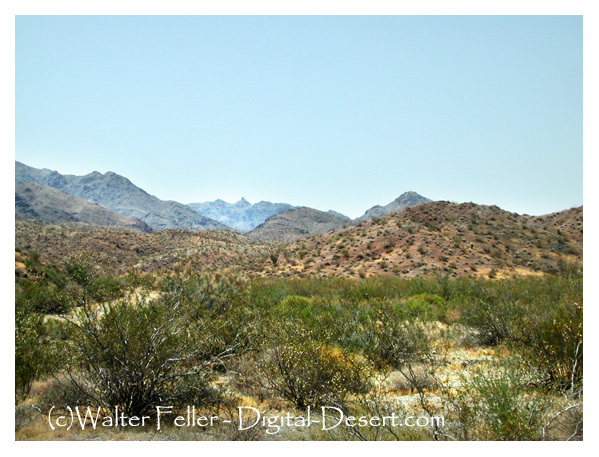 NATURAL RESOURCES: The Chemehuevi Mountains are a horse-shoe shaped range a few miles from the Colorado River. These mountains transform gradually from almost white granite to dark red and gray volcanic spires. Within the arms of the horseshoe is a large central valley, its rolling hills covered by dense stands of cholla and other cactus. Desert tortoise, bighorn sheep, wild burros and desert mule deer are among the wildlife making their homes here. A popular trail is the 12-mile Trampas Wash, which bisects the wilderness and ends at the Colorado River. Springs within the wilderness are seasonal and should not be depended upon for water. ACCESS: Ten miles south of Needles, California, U.S. Highway 95 is intersected by a dirt pipeline road, which forms the northern boundary of the wilderness. It can also be reached from the east from the Colorado River through the Havasu Wilderness Area, which is within the Havasu Wildlife Refuge. Please note there is no overnight camping in the Refuge.